The fifth annual Mountain Jamboree at Massanutten is now just days away. This star studded line-up is the perfect way to end an amazing summer. It all happens starting at 5:00pm on August 30 when three bands hit the stage. The Blind Owl Band will be kicking off this annual event. They are a hard-touring, fast-paced bluegrass infused band with a unique sound all to their own. Up next will be Hot Day at the Zoo out of New Hampshire. HDATZ are a groove-friendly quartet that mixes folk, blues, ragtime and jazz with progressive bluegrass and Americana-infused rock and roll, supporting artists like Grace Potter, Levon Helm, Railroad Earth and MOE. And the headliner for Mountain Jamboree 2014 is the one and only Larry Keel w/ the Larry Keel Experience, described by some reviewers as the most powerful, innovative and all-out exhilarating acoustic flatpicking guitarist performing today. His fierce, high-spirited energy also appeals to young rockers, jammers and alt-country pickers and fans who are equally drawn to Keel’s deep rumbling voice, his earthy and imaginative song-writing, and his down-home-gritty-good-time charm. Keel regularly collaborates with jam band and rock giants Yonder Mountain String Band, Keller Williams, Jorma Kaukonen, David Nelson, Little Feat, Rebirth Brass Band, Dirty Dozen Brass, Railroad Earth, members of String Cheese Incident and Leftover Salmon, amongst others. Also on tap for the festival are multiple food vendors, a variety of kids’ activities, a beer and wine garden, spa relaxation tent, and a Zambelli fireworks finale. The fireworks are set to start at 10:00pm. Advance tickets are on sale now through August 29 and are available at the Massanutten Concierge, The General Store, The Market or online at the festival website. Children under 7 will enjoy free admission. Ticket pricing at the gate on August 30th will be $20. 100% of the proceeds from this event go to the Shenandoah Valley Travel Association. Festival chairs, blankets, and camp chairs with built-in shade awnings that does not obstruct the view of other festival-goers are allowed. No pop-up tents or umbrellas permitted. In case of rain, the Ski Lodge can be used for shelter. No alcohol permitted in Lodge. The best view of the fireworks finale will be inside the event grounds near the ski lodge and lift #4. Trash and recycling bins will be available throughout the event grounds. 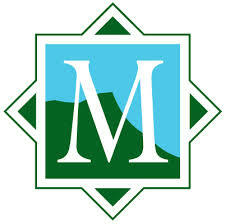 Please help keep Massanutten a Green Community! You may bring in one unopened, sealed bottle of water. Special thanks to the Mountain Jamboree 2014 Sponsors: CrossKeys Vineyards, Blue Ridge Beverage, MillerCoors, SoLace Studios, Shenandoah Valley Regional Airport, Joe Bowman Auto Plaza, Massanutten WaterPark, Appeal Productions, Rockingham County, Comcast, and VerStandig Broadcasting.